Home > Freelancers & Contractors > Questionnaire: Limited Company or Umbrella? Contractors are faced with a potentially difficult decision when they start out. Determining whether you wish to operate your own limited company or use the services of an umbrella company is a decision that could have a significant impact on your working practices and administrative tasks for some time. As such, it is important that you make the right choice. 1. Are you comfortable with paperwork? Running a limited company will involve a significant amount of paperwork and general administrative tasks. 2. Do you expect to be contracting for more than one year? Once established, dissolving a limited company can be a difficult process. If you are only contracting for a short period, it is probably not worth it. 3. Do your contracts fall outside IR35? 4. Do you wish to give the impression of providing services on behalf of a larger company? 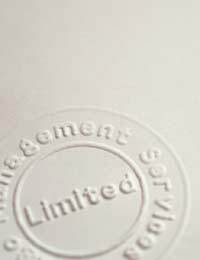 One of the main advantages of running a limited company is the ambiguity that it confers on a contractor. Many clients would prefer to work with a representative of a company than an individual contractor or freelancer. 5. Do you require very prompt payment from your clients? If you use an umbrella company, there will be an intermediary through which payments will have to pass. As such, you will be waiting longer for your money. 6. Would you save money if you became VAT registered? Although VAT accounting can be labour intensive, it could potentially save you a lot of money. VAT Registration is only really possible if you are running your own limited company. 7. Are you comfortable with basic accounting, or can you afford to pay a bookkeeper? You will need to keep an eye on money coming in and out, and keep accurate records of all transactions. This becomes particularly important when you come to claim your allowances at the end of the year. If you have answered 'yes' to most of these questions, setting up a one person limited company is probably the best choice for you. There is certainly more administrative work involved in establishing and maintaining a company, but you will retain complete control over every aspect of your business. When deciding which route to take, one key consideration is that of time scale. If you see contracting as a temporary occupation (and many individuals do, particularly in the current climate where permanent positions are few and far between), an umbrella company may be the sensible choice. Many suggest that it is best to choose the one person limited company in 'borderline' cases, as the benefits outweigh the downsides. However, if you are unsure, and predict that you will not cope with the administrative tasks well, then there is no harm in choosing an umbrella company to begin with to see how you progress. You should, however, be prepared to pay for this – many charge around £100 per month for their services.